In our latest member profile, we talk to Gimena Campos Cervera. 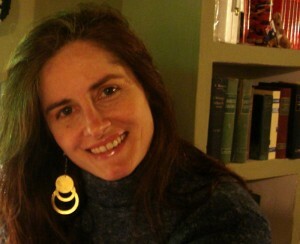 Gimena was the 2009 recipient of the SLA Europe Information Professional Award. In Paraguay I studied Foreign Languages at the University of Asuncion; I attended university in the evening and worked during the day. My first job connected to the information profession was at a Paraguayan think-tank, as editor of a magazine on women’s life conditions in my country. I didn’t have any experience in the field so I learned on the job, through my colleagues and training. At that time on-line publications didn’t exist yet –The InformativoMujer was published only in print format; we worked manually to design it, literally cutting and pasting texts and images and bringing the master copy to the print shop. The publication was a real adventure, an attempt to systematize information in a country that was coming out of a 35 year-long dictatorship, and where the government denied access to balanced information to secure power over population. At that time in Paraguay, freedom of access to information was a dream we had to fight for. I think that’s when I became in love with the idea of information and knowledge as an empowering instrument. For me, the real learning classroom in this profession was my job. The think tank used top technologies for that time; we treated information systematically, searching for it, indexing it, analyzing it and making it available to people. We documented the life of women, and spread their stories throughout the world. I think I owe all I do today to that first experience in my home country. Some years later I moved to Italy where I attended an excellent European Community course on library and information sciences. Much later, in 2009, I got an online LIS Master’s degree at the Robert Gordon University in Aberdeen, Scotland, with a dissertation on multicultural information services. In between those years there I attended lots of seminars, meetings, and conferences. Can you give some examples of where you have worked, and in what sorts of roles? As I said before, my first job in this profession was at a documents centre of a Paraguayan NGO. In Italy I did many jobs, starting with translations of South American soap operas for Italian TV channels, and the sale of Paraguayan handicraft at street markets. Only later I got my first job as an information professional in Rome, at a NGO documents centre on women’s conditions; then I worked as a researcher at a national vocational training center that managed European Community projects on employment, women’s conditions, and youth topics; later, I worked seven years for two United Nations documents centres in Italy (IFAD and WHO) and finally, in 2005, I got a job at the U.S. Embassy in Rome, as Senior Researcher at the Information Resource Center of the Office of Public Affairs. As you may know, SLA’s theme for 2011 is “Future Ready”. What does this theme mean to you? It makes me think of the future that is already here, through the new technologies that allow us to search, manage, deliver and share information in new and exciting ways. Ebooks, social media, augmented reality, open data and much more, are all elements that are changing the way we work and communicate. It also makes me think of the importance of being ready for this future that is knocking at our doors right now. Technologies are changing our life at a very fast pace and we need to shift along with them. As information professionals we should embrace this challenge and make our clients understand that we are strategic for them, that we can help them manage the information overload, maximize information use, facilitate knowledge transfer, and optimize the ROI of an enterprise (be it a library, an NGO, a government’s agency or a private business) through the effective and timely use of information, especially in this challenging economic time. How would you make, or how are you making, yourself and your career future ready? Lifelong learning is really important, even more today, when technologies are changing so fast. I attend webinars, seminars and courses as much as I can. Reading is very important too: journals, newsletters, blogs, newspapers, and books, help you keep pace with the latest news and tendencies. Networking is another fundamental aspect: there’s so much to learn and gain from talking with colleagues, getting to know new people in the profession, traveling and visiting other libraries and information centers. What advice would you give to someone just starting out as information professional? I think constant training, a strong commitment to work and networking are three core elements to start out a career. Education doesn’t stop at university; it’s something that should accompany us through our entire professional life. Secondly, dedication and motivation are essential to learn the fundamentals of the profession; finally, becoming part of a professional organization and attending public events are a great opportunity to network, listen to new ideas, meet people and introduce yourself. Collaboration and communication are key elements today, and you can do this not only in person but through social media channels and online communities. This promises to be a busy year. Right now I’m preparing a big conference on the future of books to be held in Rome, March 31st. We will have panelists from the US, UK and Italy, including current SLA Europe president Sara Batts. We will discuss e-books and the implications for libraries, information professionals, readers, publishers, and teachers. In May-June I’ll take part in an international associates program at the University of Illinois at Urbana-Champaign. The program focuses on future librarians, communication and leadership; it will be an exciting 4-week training for a small group of information professionals coming from all over the world, and I’m really looking forward to it. Finally, this Summer my husband and I are planning to officially open a farm B&B in Tuscany, where we grow olives and produce eco-friendly cosmetics made out of extra virgin olive oil. 2011 promises to be a really hectic year and I need all my energy to face it! 2011 certainly does sound like it’ll be a hectic year! Many thanks to Gimena for sharing her thoughts with us, and all the best wishes for the future. If you’re an SLA Europe member and would like to be interviewed for the blog, please contact blog editor Laura Woods. Early Career Conference Awards 2011 – winners announced!